I am originally from the United States, where I served as a Christian minister for several years. For the last seven years, my family and I have lived in Scotland, where I have conducted PhD research at the University of Aberdeen and St Andrews. 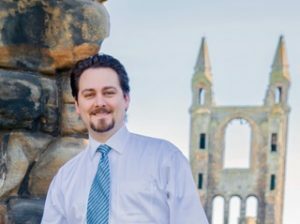 Upon completing my PhD, I was a Teaching Fellow in Theology at the University of St Andrews. I study what has traditionally been called Christian “systematic theology”. Systematic theology is essentially the critical examination of the basic logic(s) underpinning the Christian religion. It is “systematic”, in that it attempts to give a consistent and (insofar as it is capable a) comprehensive explanation of the nature of God and of all things in their relation to God. It is sometimes distinguished from other types of religious study by its attempt to articulate its object from within the Christian tradition and on the basis of its principles. In this sense, it is often described as adopting a posture of “faith seeking understanding”. Within that larger approach, much of my research has focused on Christian teaching about the nature of God. My PhD research looked at different conceptions of God’s “perfection” and “justice”, and the way that these conceptions have shaped Christian notions of the “common good”. I am currently teaching several courses in our MTh programme and in the next academic year will be teaching undergraduate courses in theology as well. Some of the topics I anticipate teaching on will be Modern Theology, the Christian Notion of God, and Great Theologians of the Christian Tradition. I have really enjoyed getting to know my colleagues and students. 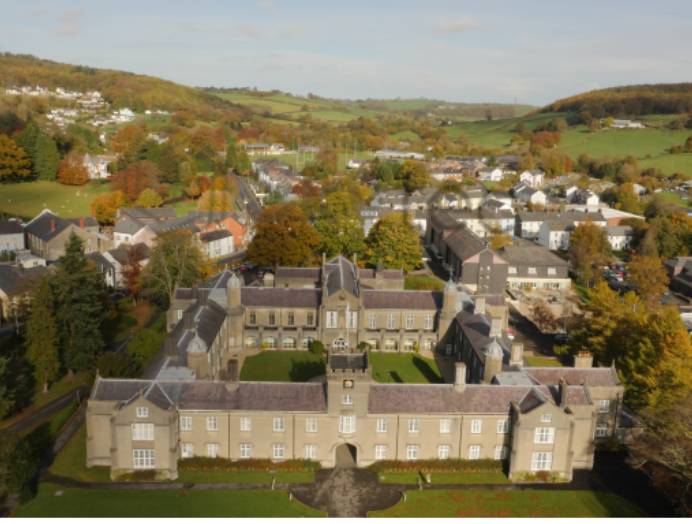 The faculty in TRS are all hard-working people who are deeply committed to the students and to making UWTSD a place of lively intellectual activity and critical, academic exchange. It is a really exciting place to be! What do you anticipate to enjoy when you move to Wales? I am looking forward to getting to know Wales, learning a bit about rugby, and taking some camping trips with family and friends to Snowdonia!